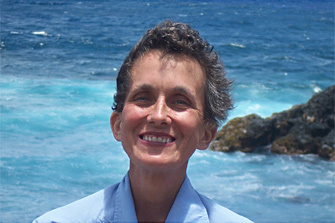 This photo of my wife, Deborah, was taken on vacation in Hawaii just 11 days before she died of lung cancer. I am deeply grieving, but looking at this photo brings me comfort because it shows Deborah enjoying our vacation the way she enjoyed life: whole-heartedly. Her beautiful essence - her joie de vivre, serenity, and genuine happiness - are shining through.